Anna and Denise from Jacob’s Cabin podcast | It's About Bunnies! 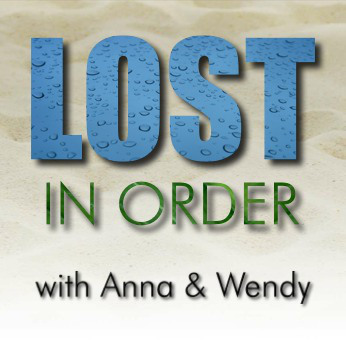 UPDATE 1/6/10: Just in time for Season Six, good friend of the LRNow, Scotty Six, has just started a new LOST podcast. It’s called “Top6In6”, where he is going to discuss his Top Six, of various LOST related topics, in six minutes or less. The first episode is his ” Top 6 Continuity Errors That Could Be Awesome Clues”. You can find it here at Talkshoe and will be on iTunes in the very near future. If you want to email him your Top 6 LOST Topic, send it to top6in6@gmail.com. Happy New Year LOST fans! On Tuesday, January 19th at 8:30 EST, Anna and Denise, the lovely ladies of the Jacob’s Cabin podcast, will be joining us for The Bunny Awards for Season 5 Finale ” The Incident”. ( Thanks, Anna and Denise 🙂 ) ! UPDATE: ( 1/24/2010) Axel and Aaron from The LOST Mythos Theorycast will be joining Heath and I on the LRN for this podcast episode on Monday 1/25/10 at 2pm EST on Talkshoe. This month, Heath and I are will also be recording a “Spoiler Free” LOST preview episode based on some of the answers we got and questions we still have going into Season Six. We’ll be referring often to a post I wrote before last year of What I Want to See in Seasons 5 and 6 (an 108 item list) . Then we’ll give our revised LRNow list for the final season. I’ll be updating date/time info for these podcasts soon.